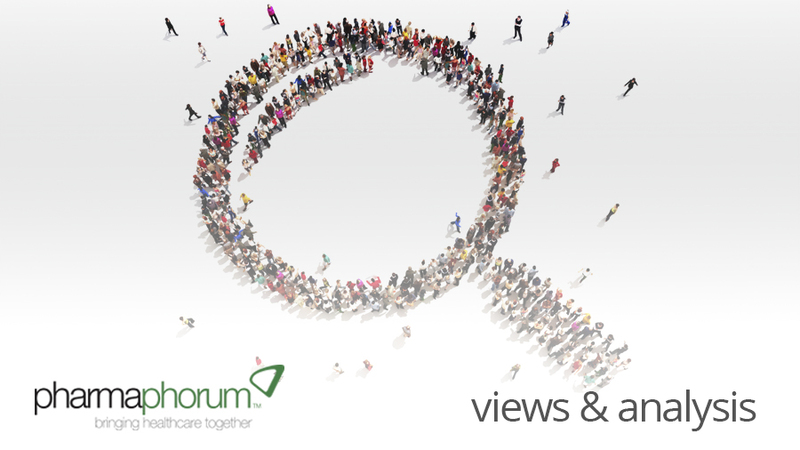 Hana Ayoob and Lesley Harrison address the issue of patient recruitment in clinical trials and their specialised treatment centre for rare diseases in pharmaphorum’s rare disease focus month. Patient recruitment for rare diseases is challenging. Small numbers of patients and a lack of awareness within the medical community can make you feel like you’re hunting for a needle in a very confusing haystack. As a patient group supporting patients with a rare genetic disease, we are involved in patient recruitment for two projects: the National Alkaptonuria Centre and international clinical trials called DevelopAKUre. The National Alkaptonuria Centre (NAC) is an NHS funded Centre of Excellence. It opened its doors in June 2012. Since then, the centre has provided one stop head to toe health care for AKU patients in England and Scotland. During their four day stay at the centre, patients see a variety of healthcare specialists. They also receive nitisinone off label, a potential treatment for AKU. A total of 36 patients have now attended the centre and another seven are arranging visit dates. The NAC and DevelopAKUre are very different projects. NAC patients are guaranteed treatment while SONIA 2 patients have a 50 % chance of receiving medication. The NAC is based in Liverpool and treats patients from England and Scotland while DevelopAKUre has sites in England, France and Slovakia and includes patients from all over Europe. Despite these differences, there are many similarities in our approach to patient recruitment. Patient recruitment always comes down to two big challenges: finding and keeping patients. Both projects have set targets for the numbers of patients they need to recruit from a limited pool of patients. For example, we need at least 156 patients for DevelopAKUre to be a success when we only know of around 1000 worldwide. One of our core methods for finding patients is reaching out through their doctors. To recruit patients for the NAC, we conduct regular fax campaigns to all GPs in England and Scotland. For DevelopAKUre, we have contacted national professional groups in relevant medical specialities, such as metabolic medicine. Problems encountered when contacting doctors include a lack of awareness of AKU, resistance to communicating with a patient group or passing on their patients care to other specialists and a lack of response. The first fax campaign to English and Scottish GPs only had a 6% response and responses from national groups were even lower. A strong online presence allows patients from around the world to find and contact us. We are constantly improving our search engine optimisation. Our patient communities provide a steady stream of new patients. In addition to this, we created a dedicated microsite for the DevelopAKUre clinical trials. Both our main website and the microsite have ‘Contact Us’ forms where patients can leave their details so someone from the team can get back to them. Our approach to finding patients is constantly evolving. We are about to trial a snail mail campaign to GPs in one city to see if this has a higher return rate than the fax campaign. Alongside this, we are getting ready to embark on a European fax campaign to doctors about DevelopAKUre. Getting in touch is only the beginning. We then need to keep patients motivated and involved. Involvement in either project requires a lot from patients. NAC patients have to commit to a four day visit in their first year and three or four day visits in subsequent years. Patients who take part in SONIA 2 must visit a test centre six times over four years for visits up to four days long. For most patients, the test centre will be outside their country. The NAC has already had some dropouts and near dropouts. Many patients struggle to get the time off work and don’t necessarily want to use up annual leave. Younger patients with no symptoms don’t think they need to attend and older patients sometimes feel it is too late. SONIA 2 will start later this year and we expect to have similar problems. On top of this, 50% of SONIA 2 patients will be in a control group and will be aware they are receiving no treatment. Nitisinone changes the colour of patients’ urine which means using a placebo is not feasible. So how do we motivate patients? In both cases, we ensure patients have all the information available from the beginning and provide them with support before, during and after visits. Having dedicated members of staff for both projects allows us to form relationships with our patients while providing one to one help with visit schedules, travel arrangements, accommodation for carers and the local area. When communicating with patients, we convey all the benefits of taking part. This includes the health checks taking place, the opportunities to meet experts in AKU and being able to socialise with other AKU patients. Our Patient Support Officer, Lesley, also offers NAC patients home visits in between their visits to the centre to provide them with additional support. Finding patients is challenging and involves a lot of time and effort. We are relentless in reaching out to as wide an audience as possible and we are constantly on the lookout for new avenues of communication. However, in comparison with keeping patients, it’s the easy part. Keeping patients requires building relationships. As a patient group with dedicated members of staff for both the National Alkaptonuria Centre and DevelopAKUre, we are best placed to provide one on one contact and support to each and every patient involved. Hana Ayoob joined the AKU Society in 2012 after completing a BA in Natural Sciences and Management Studies at the University of Cambridge. As Clinical Trials Coordinator, Hana’s main role is patient recruitment and support in the DevelopAKUre project. The European Union funded project involves three clinical studies looking at the use of nitisinone in Alkaptonuria (AKU). Lesley Harrison joined the AKU Society as Patient Support Officer in May 2012. She initially trained as a Mental Health Nurse and then completed her post-registration General Nurse training. She has extensive experience of working in both the NHS and private sector in a variety of general and mental health positions as well as serving in the Queen Alexandra’s Royal Naval Nursing Service. Most recently, Lesley worked in the Charity sector as an Advocate for Voiceability and POhWER where she completed her National Advocacy Qualification. The AKU Society is a patient group supporting those affected by the rare genetic disease alkaptonuria (AKU), otherwise known as Black Bone Disease. Closing thought: How can we overcome challenges in rare disease patient recruitment?